The small child cries hysterically on the hospital bed, covered in dust and blood. The video, posted by the pro-Syrian government news agency al-Akhbariya, shows scene after scene of civilian men, women, and children injured from what they say were rockets launched by armed opposition groups in the al-Hamdaniya neighborhood of government-held western Aleppo. Meanwhile, the Syrian Observatory for Human Rights reported last week that a school in al-Shahbaa neighborhood was hit by munitions launched by rebel groups from eastern Aleppo, killing six children in the school. A tribute to a young boy killed in the attack was published on the school’s Facebook page. These are but a few of the abuses reportedly taking place in western Aleppo since rebel groups launched an offensive on October 21 to break the siege on eastern Aleppo. Joint Syrian-Russian military operations in the east have killed thousands of civilians, and the government siege of the city hasn’t allowed much-needed aid into the area since July. While the atrocities unfolding in eastern Aleppo have rightly sparked international outrage and media attention, any abuses by rebels against civilians in western Aleppo have largely gone unreported. This is partly due to the challenges that independent observers like Human Rights Watch face in getting visas to the west of the city and other government-held areas, but also because many people in western Aleppo are afraid to talk to human rights groups because they fear government repercussions. Yet rebel groups in eastern Aleppo have given us some indications into what they are doing by publishing videos showing their fighters launching improvised and unguided rocket attacks from east Aleppo into heavily populated areas in the west, and even of preparing suicide bombers to launch attacks. According to the United Nations, more than 30 civilians, including 10 children, were reportedly killed and dozens of others injured as a result of attacks on October 29 and 30 on western Aleppo. These tactics are the same as those that have been used by rebel groups targeting government-held territory in Damascus and Homs resulting in the deaths of hundreds of civilians. Regardless of the injuries inflicted during conflict or while under siege all warring parties, including rebel groups, need to obey the rules of war. That means not deliberately target civilians in attacks; taking care to distinguish between civilians and combatants at all times; and not causing civilian casualties that are disproportionate to the expected military gain. Those who flout these rules could be prosecuted for war crimes. Despite the devastation wrought on civilians in Aleppo, paralysis at the Security Council has failed to protect civilians in the city. Given the Security Council’s lamentable failure, it’s time for UN member states to now request an emergency General Assembly special session on Syria, in which to demand an immediate end to unlawful attacks, and push for a special investigative mechanism on atrocity crimes in Syria, with a view to preparing cases for future criminal prosecutions. 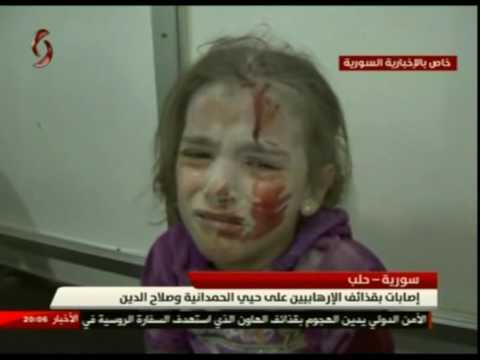 All Syria’s victims, no matter which side of the war they are stuck in, deserve justice.